AIA after-school programs aim to nurture a new generation of digital natives and cultivate within them a passion for creating with technology. We are a growing community of digital creators who embrace a culture of innovation and co-creation to solve real-world problems and transform the youth of South Florida from digital users to producers. Simple Machines is a perfect starting point for younger learners who are just getting started with Lego robotics. 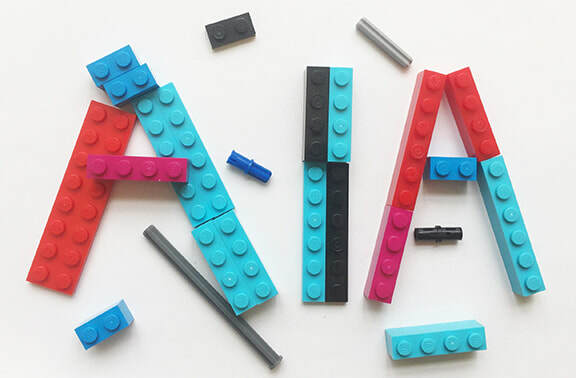 Design and create different structures while you learn the physical forces at work in simple and complex machines—all with kid-friendly Lego bricks. Use a lever, an inclined plane, a wheel and axle, and a pulley to construct complex, fun structures and complete challenges through building motorized mechanisms in teams. • Design and build models that encourage brainstorming. • Analyze cause and effect. • Make observations during testing. • Display and communicate data. These experiences expand a student’s knowledge of simple machines and how to make them move and interact to solve problems. Additionally, these experiences will help students hone speaking and listening skills as they present their own ideas and listen to the ideas of others. We use Lego® systems designed for education in our robotics courses to bridge the gap between theory and practice in engineering. All students work in pairs, hands-on with their Lego MINDSTORMS EV3 robots in a fun atmosphere where they learn to build and program their robots. The robots typically have small motors, moving joints, color sensors, touch sensors, ultrasonic sensors, light sensors, positioning sensors (Gyro), infrared sensors, and an EV3 computer (which we all call the "Intelligent Brick") that connects them all. The Intelligent Brick has Wi-Fi, Bluetooth, and a USB port that connects to students’ computers, laptops, or cellular phones in order to program the robot. Students will become familiar with visual programming using LabVIEW. Students will work with robotics instructors to build and program their robots throughout the course of the program. Introduction to coding using Scratch teaches programming concepts such as sequences, loops, iterative development, and debugging using a modern, visual block-based approach. Scratch is designed to be fun, educational, and easy to learn. It has the tools for creating interactive stories, games, art, simulations, and more, using block-based programming. As children create with Scratch, they learn to think creatively, work collaboratively, and reason systematically. Scratch is designed and maintained by The Lifelong Kindergarten group at the MIT Media Lab. Learn to design and shape the world around you with AutoCAD software. You will experience firsthand how to create stunning 3D designs, work with designs and drawings on any platform and across devices, and gain confidence using the program on the go with web and mobile apps. Prepare for the future of design with the first 3D CAD, CAM and CAE tool of its kind. Become a whiz at Fusion 360 which connects the entire product development process into one cloud-based platform. Through this course you will gain entry-level knowledge that includes creating, modifying, formatting, and sharing 2D sketches, creating parts, viewing, and animating assemblies, creating presentations and drawings, etc. Working with Maya 3D animation software you'll learn 3D computer animation, modeling, simulation, rendering, and compositing on a highly extensible production platform. Get a taste of how the pros use Revit software which is specifically built for Building Information Modeling (BIM), empowering design and construction professionals to bring ideas from concept to construction with a coordinated and consistent model- based approach. In beginner-level projects and exercises, students learn basic software and design thinking skills to develop a foundation in 3D design and modeling. Hands-on, in-depth projects challenge students to apply design thinking and software skills from the Autodesk suite in order to create unique solutions to a design problem. With 3D Printers at our disposal students can then see their inventions and projects come to life. Schedule will be announced soon!